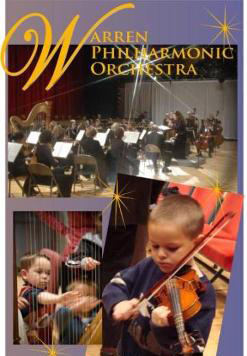 The Warren Philharmonic Orchestra is comprised of 60-some professional musicians, many of whom are faculty members and graduates of such conservatories as the Juilliard School, the Eastman School of Music, the Cleveland Institute of Music and the Dana School of Music. Music Director and Conductor Susan Davenny Wyner has received international acclaim for her recordings and conducting of concerts and opera throughout the U.S. and Europe. The WPO's current administrative staff includes Executive Director Barry Dunaway, Assistant Executive Director Leanna Dunaway, and Concert Manager/Librarian Natalie Sahyoun.